Taraji P. Henson stars in the outrageously funny comedy hit What Men Want, which takes the Mel Gibson and Helen Hunt classic and turns it on its head with raunchy new jokes and plenty of heartfelt emotion. You can bring home the box office smash this April on Digital, or wait until May for the Blu-ray and DVD to hit your local Target. This one is packed with extras. 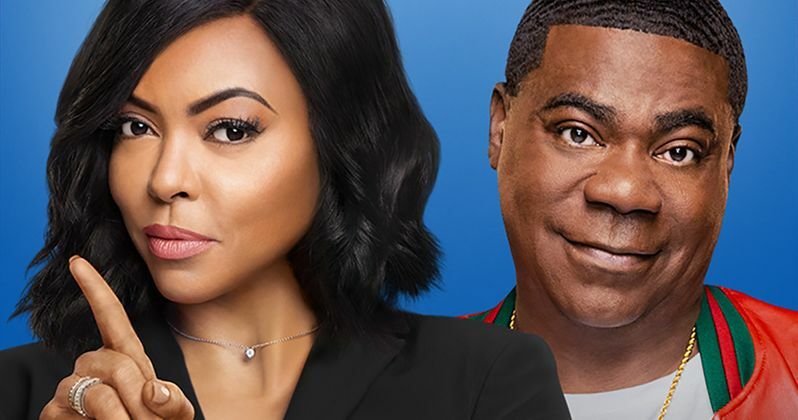 "Taraji P. Henson is at her absolute best" (Shawn Edwards, FOX-TV) in director Adam Shankman's hilarious comedy What Men Want, arriving on Digital April 23, 2019 and on Blu-ray Combo Pack and DVD May 7 from Paramount Home Media Distribution. The Digital and Blu-ray Combo Pack releases deliver even more entertainment with over 60 minutes of laugh-out-loud bonus features, including a gag reel, deleted and extended scenes, a spoof infomercial featuring a hilarious Erykah Badu, interviews with the cast, and more. Called "laugh out loud from start to finish" (Dave Morales, FOX-TV) and "fresh, timely and outrageously fun" (Rachel Smith, MORE), What Men Want is the perfect movie to watch at home with girlfriends or for a date night in. The What Men Want Blu-ray Combo pack includes access to a Digital copy of the film as well as the following Special Features. • The Dream Team - Meet the wildly funny cast and crew as they take you behind-the-scenes of their comedic hijinks. • Flipping the Narrative - Discover how What Men Want flips the script on what women must do to succeed in a man's world. • What DO Men Want? - Laugh along with the cast and crew as they get one step closer to understanding what's on men's minds. • Poker Night - Pull up a chair for one of the most epic poker nights imaginable. • Ali + Athletes - Ali Davis (Taraji P. Henson) pulls out all the stops for her clients. Check out some hilarious cameos from superstar athletes. • Sister Spills the Tea infomercial - You have questions, Sister has the answers! Watch music icon Erykah Badu play the hysterically eccentric psychic as she spills the tea on her mystical powers. So get ready. What Men Want will make a nice addition to your building digital library or your already stacked to the wall Blu-ray and DVD collection. It's funny. Give it a spin. This announcement comes direct from Paramount.